How Does The AMG GT R Compare To The Original Nissan GT-R? Is the AMG that big of a step forwards or can the incredible GT-R hold its throne? We get it, AMG doesn't mind giving its lower models monikers like AMG CLS63 or other hard to remember names to make it harder for less monied buyers but likes to keep things simple for its high-powered sports cars. Either that or it knows its three-pointed silver badge is the only one in the industry that carries enough clout to steal another well-respected car’s name and get away with it, but one way or another the AMG GT R is a thing despite Nissan having a car by the same name. “We stole your name? Well we invented the car so who really stole from who?” At least that’s how we imagine Mercedes’ response to Nissan’s cease and desist letter might have gone like, but to truly see if Mercedes is more deserving of the name GT R than Nissan is of GT-R, it’s important to test the two cars in order to see who wears it best. A glance at the stats sheet uncovers no apparent winners. The price gulf is huge, favoring the Nissan as it usually does, but aside from that the similarities are all there. 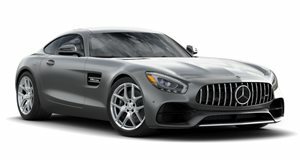 Both use twin-turbo engines to make huge amounts of power, 577 horses in the case of the AMG and 565 ponies for the Nissan, and though the former of the two cars weighs a few hundred pounds more than its German counterpart, it sends power to all four wheels while the Mercedes is stuck with rear-wheel drive. 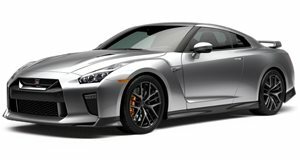 What’s unbelievable to us is how well the GT-R does against the GT R considering its age. No matter what, it seems like either car is a great pick.